If you really love to bargain shop you probably already have a good idea of when and where to find deals. But did you know that at certain times of the year you can get better deals on certain items? Some of the sales at certain times of the year are obvious, like the best time to buy patio furniture is in September. Well duh, it's the end of the season. 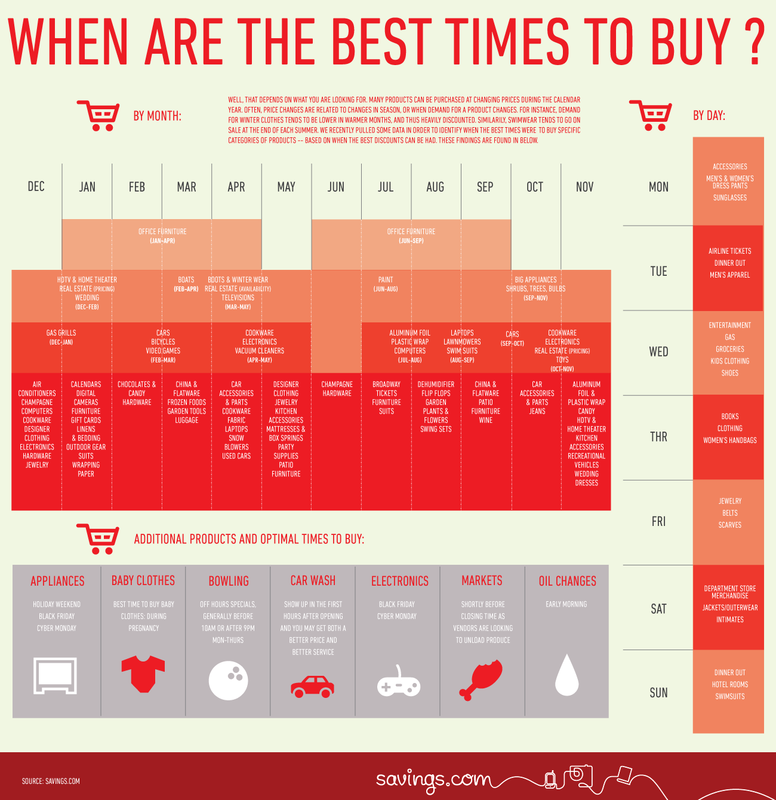 But other "best time to buy" times don't really seem to have any rhyme or reason to them. For example; bedding and linens are cheapest in January, big appliances are cheapest September-November, flatware and china are cheapest in September, vacuum cleaners are cheaper in April and May. Click HERE to see a bigger version of the above chart, when the chart appears click on it to make it even bigger. PS: Savings.com did not sponsor and is in no way affiliated with this post.